If you just can't satisfy that need for big, sweeping chamber pop anthems, good news: Denmark's Efterklang are heading out on a North American tour. Kicking things off in March, the Danes will make the trek from west to east, playing a string of shows down south, as well as ones in Vancouver, Toronto and Montreal. 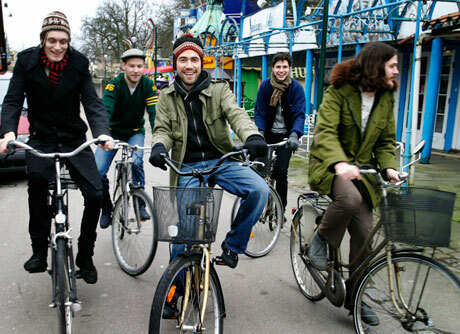 The band will tour as a seven-piece this time out and apparently will be road-testing a bunch of material from their yet-untitled new album, which is due out sometime in 2010. In addition to this proper follow-up to 2007's Parades, Efterklang have plans to release a live CD/DVD package this fall. The recording is from a show in the band's hometown of Copenhagen last September, when they performed Parades in full with more than 50 musicians on stage and the Danish National Chamber Orchestra.